In 2006 Egyptian human rights activist Wael Abbas posted a video online of police sodomizing a bus driver with a stick, leading to the rare prosecution of two officers. Later, Abbas’s YouTube account was suddenly suspended because he had violated YouTube‘s guidelines banning “graphic or gratuitous violence.” YouTube restored the account after human rights groups informed its parent company Google that Abbas’s posts were a virtual archive of Egyptian police brutality and an essential tool for reform. After the Abbas case, Google concluded that some graphic content is too valuable to be suppressed, even where it is most likely to offend. 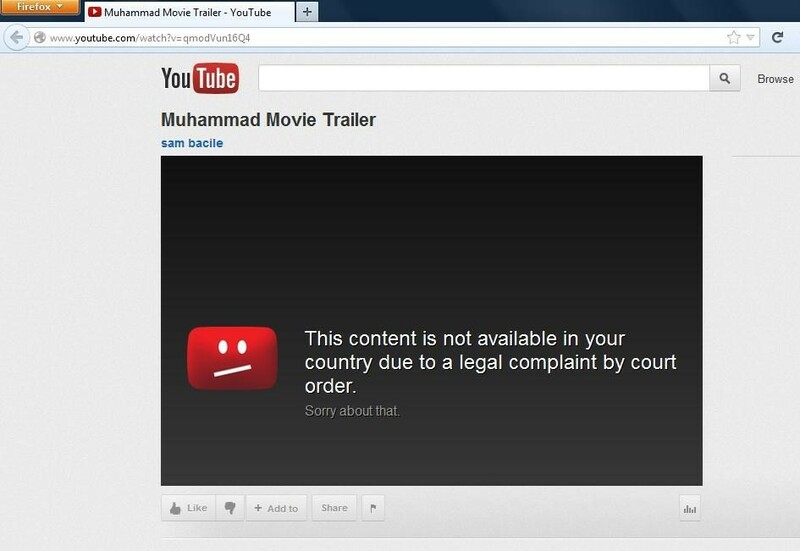 More recently, the Innocence of Muslims video led Google to bend its rules in the other direction, temporarily blocking the video in Egypt and Libya “given the very sensitive situations in these two countries,” according to a statement given to reporters, even though those governments had not requested censorship and it was not violent, graphic, or directly hateful enough to violate YouTube’s guidelines banning gratuitously violent images and hate speech. (The video has since been quietly unblocked in both countries.) From the beginning, Google kept the video up in most of the world — and denied a request from the White House to remove it completely, but blocked it in countries including India and Indonesia where it has been ruled illegal, in keeping with Google policy to abide by its own rules as well as national laws. In the crush of events, Google’s decision was the best it could have done under the circumstances. Yet little of the rationale behind Google’s decisions has been offered directly to YouTube users. Google has made a laudable public commitment to free expression and does a good job of disclosing how it responds to government demands around the world. Given the Internet giant’s power to shape global public discourse, it should be equally transparent about its private governance of global speech. Click here to read our ideas for how that might work.